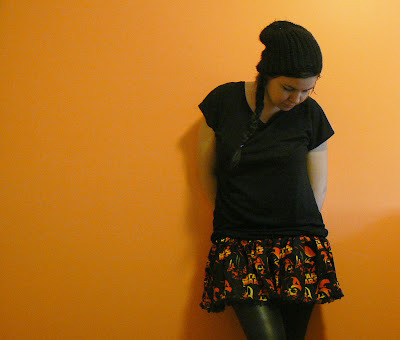 Probably the simplest of skirts, this style I whip up when I have nothing to wear or if I have stray rectangles of fabric. 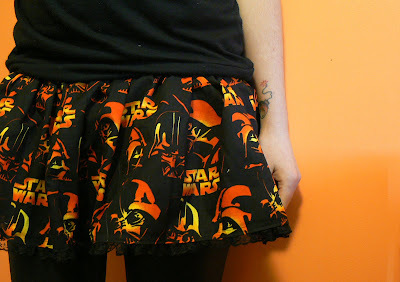 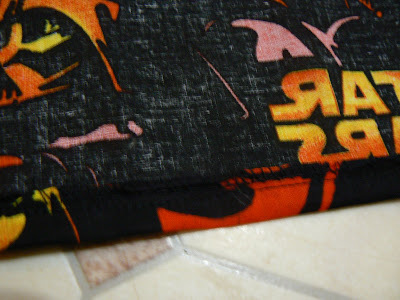 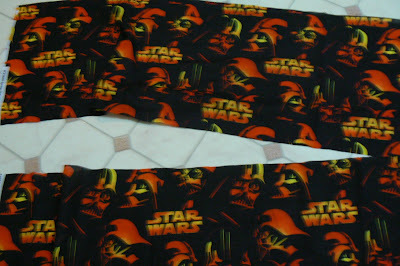 This particular Star Wars skirt was made from two Fat-quarters I bought on eBay. 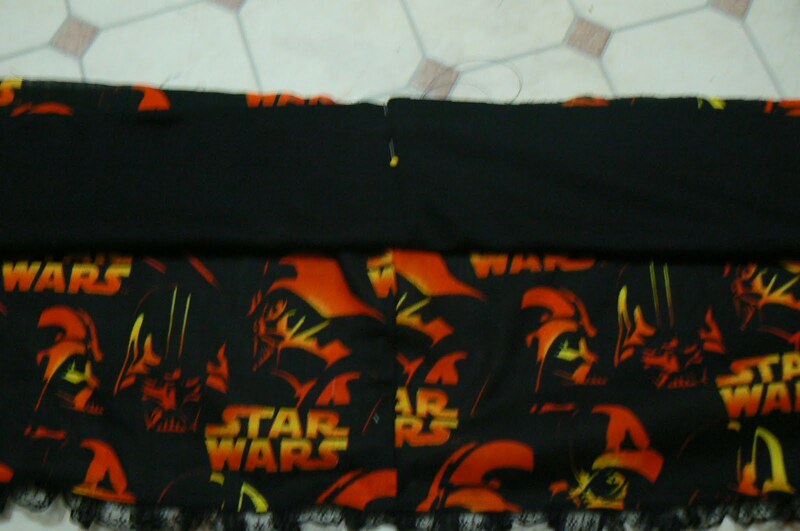 I bought them as one continuous piece of fabric but if you have them cut seperately I don't think it'd be that big a deal. 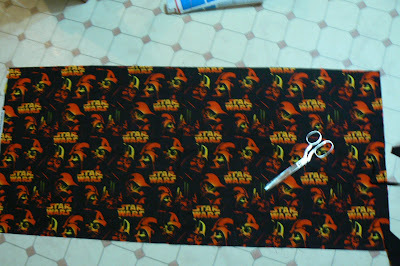 This is a really great way to use fat quarters you buy of awesome fabric but don't know what to do with them! You'll need some fabric that will wrap around you twice comfortably, some stretchknit and some lace if you want it to be super cute. 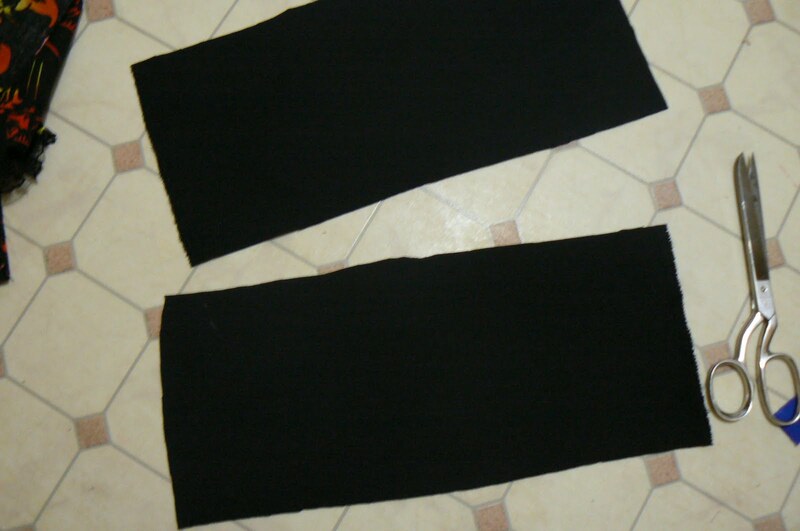 Cut in half lengthways. Make sure it's a good length, not too short. 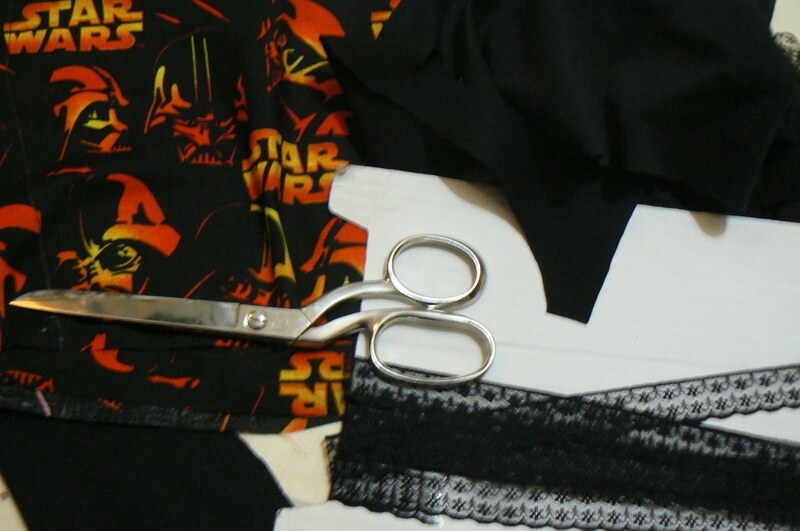 Lucky for me this length is perfect. 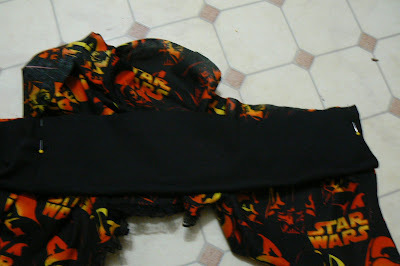 Hold it up to you, on your low waist [so where you wear your jeans and knickers etc] and figure out if it's the right length for you. 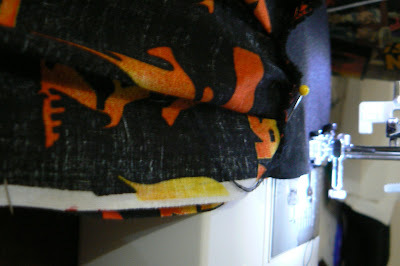 Also serge across the entire bottom of the skirt, folding it up one to two cms and hemming it. 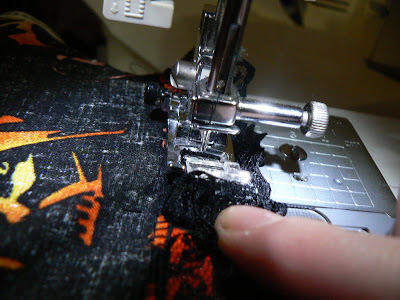 Attach the lace to the hem. I attached mine on the inside of the skirt, and bunched it up as I sewed it so it was ruffly. 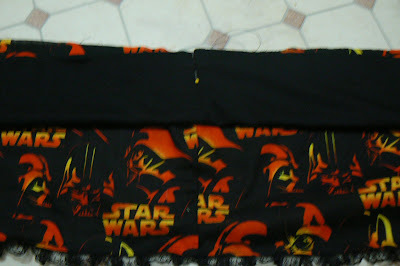 If you have two pieces like mine, place one on the other like you did with the skirt panel and stitch one width of it. Fold the stretchknit in half lengthways, pin the sideseam of the stretch fabric to the side seam of the skirt. 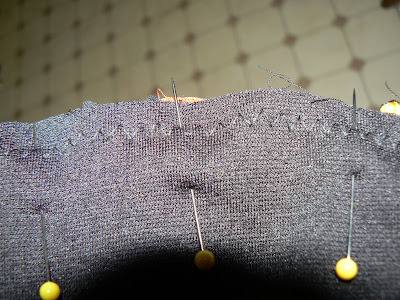 Pin each edge of the waistband to each edge of the skirt. 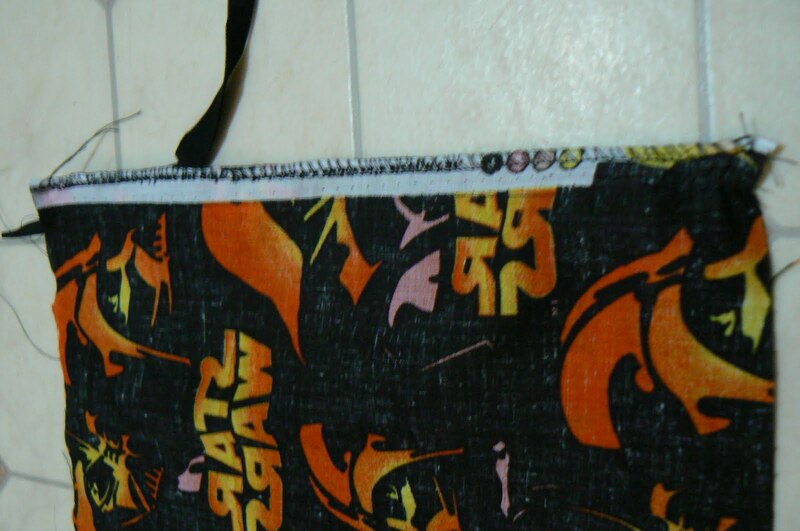 It is obviously not going to match up. You're going to follow steps 6-9 in this tutorial for how to make it all ruffley and gathered-ish, without all the hard work! 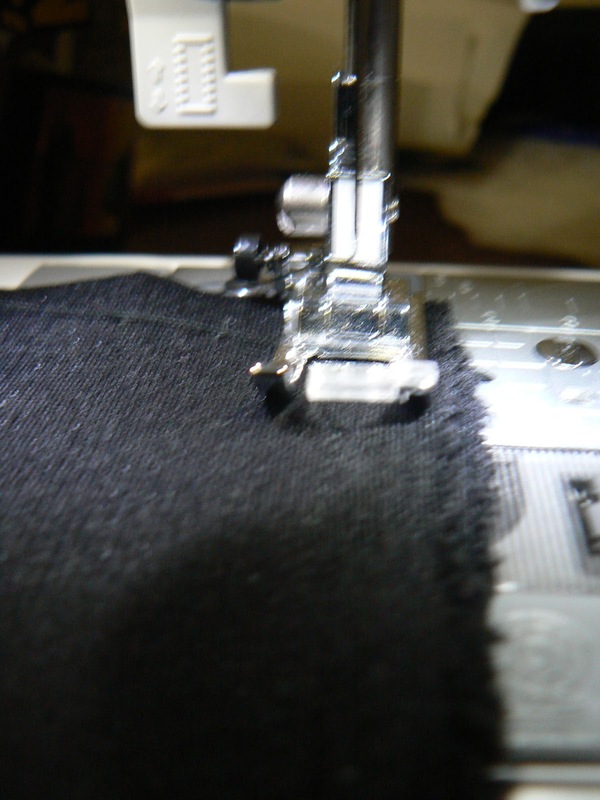 Using a zigzag stitch, and stretching the fabric slowly, stitch your seam! Then overlock it! 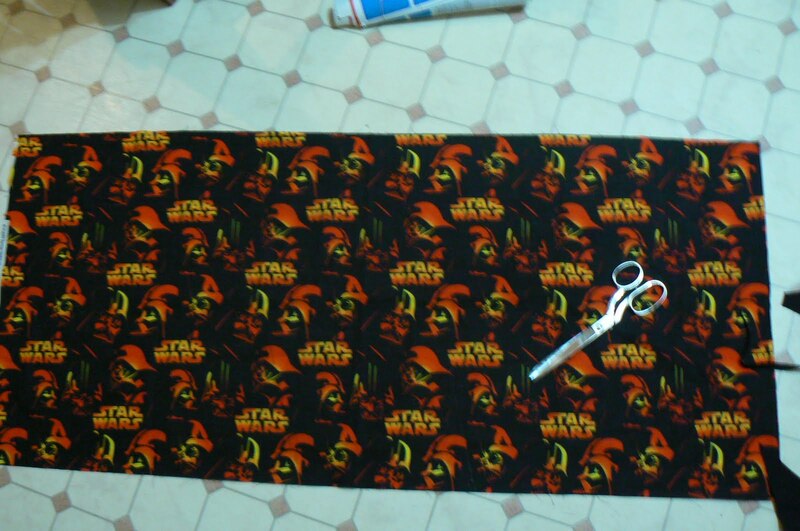 It's going to look like this! 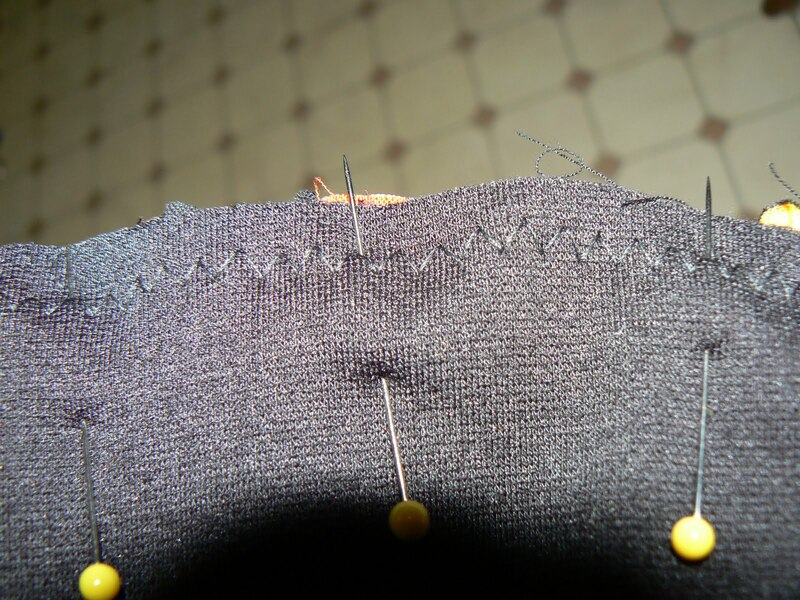 Now fold your skirt in half and stitch down the sideseam, making sure you match up the join where the waistband meets the skirt. 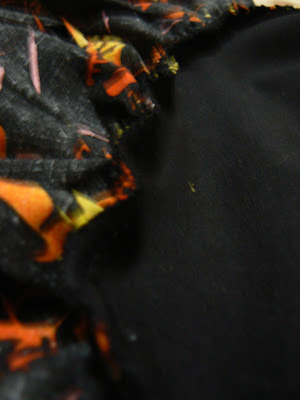 Serge that seam and VOILA! Finito! So cute! 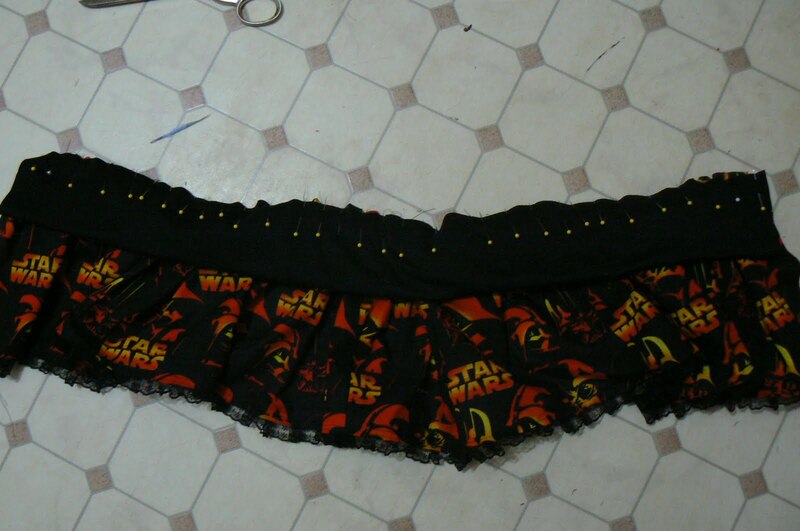 I can't wait to make one of these minis!